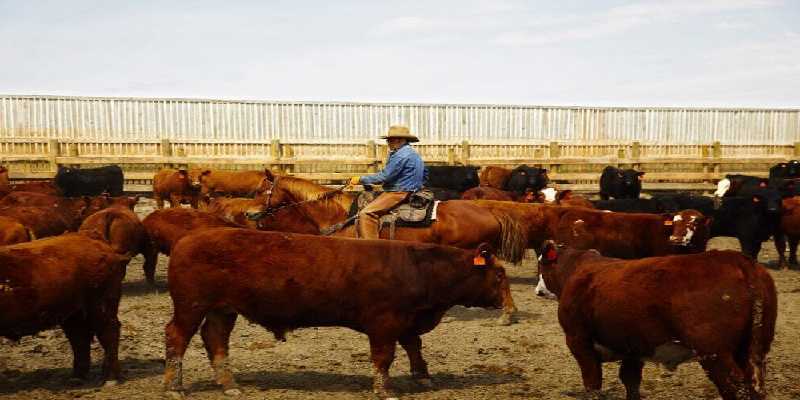 If you are planning to own or start beef cattle, then you would find this article useful. It is important to focus on infrastructure when you are establishing a cattle farm. A small farm essentially does not require a full-fledged infrastructure. Cattles love to spend their time in outdoors, irrespective of most weather conditions. You can also let them grace under the open-air shelters. Proper ventilation is very important, if you want to keep the cattle in a closed environment or indoor area. The infrastructure should be designed in such a way that cattle farming job should be made easier and safe while reducing the labor and related expenses. It is important to provide facilities such a neck clamp, a crush pen, and a squeeze chute. Neck clamp and crush pen is utilized for purposes such as branding, deworming, close inspection and vaccination. A handling facility that is ideally designed to prevents the confusion and stress among the cattle. Too much of stress can impact the performance and the quality of meat. The fodder should be stored away from the sunlight. The quality of feed plays a major role in determining the health of the cattle. Feeds such as a straw, hay, grain, and silage should be stored in a ventilated and dry area and should be free of rodents. Exposure to sunlight can hamper the nutritional value of the feed. There are many companies involved in manufacturing the storage racks for the cattle farm. You can get the details of Storage racks manufacturers by looking into the local business listing. It is important to choose a well-ventilated storage rack from a reputable rack manufacturer. A good rack should be made of durable material that can withstand moisture, elements and weather. In addition to the milk, you will also earn more money by selling the cow muck. A recent article at https://www.telegraph.co.uk/news/2016/04/19/cow-muck-worth-more-than-milk/, says that cow muck is more valuable than milk in the market. Cattle farm requires an adequate amount of water supply. Providing the facility with enough amounts of water troughs can help the cattle to stay hydrated. The water should fresh and clean. You may also use old bathtubs or barrels as an alternative to water troughs. Make sure to clean the recycled product before use. You should avoid using containers that are made of plastic or that contain chemicals. microbes. A site should have proper drainage system or facility that will not give chances for water to stay stagnant. The facility should also be designed to allow the tractors, trucks and trailers to enter and move out freely. This is because proper and safe transportation is necessary for smooth cattle farm operation. Land Considerations For your Diary Farm. Each animal should be given enough space to sit and lie. Cramped space or area can make the animals get tired and stressed. The place should be clean and neat, so that there are less risk for flies, mosquitoes and other insects to infest inside the facility. It is necessary to ensure that your farm can receive continuous power supply. You can have generators in order to tackle the unexpected power outage.